Altior equalled one long-standing record and set himself up to match another with a facile seventh-length win in the Grade One Clarence House Chase at Ascot. A 12th consecutive win over fences for the gelding who currently dominates the two-mile chase division equalled the achievements of Game Hen, who raced between 1885 and 1886, and Gangbridge, whose successes included the 1901 Welsh National. 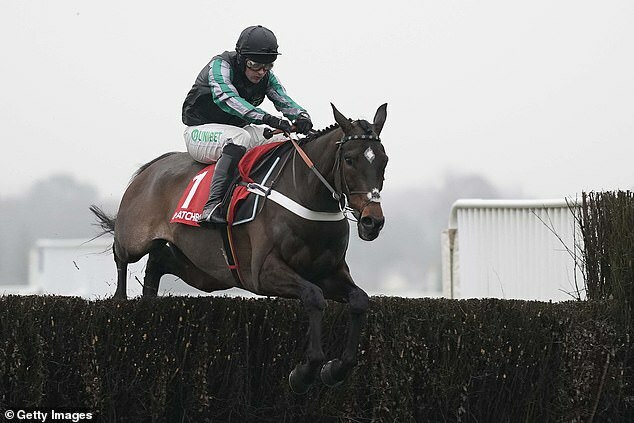 In winning a 17th race over obstacles — Altior's sequence started with five wins over hurdles — the Nicky Henderson-trained Altior set himself up to equal the record of 18 straight jump wins set by high-class hurdler Big Bucks when he runs in Queen Mother Champion Chase at the Cheltenham Festival in March. Sent off at odds of 1-10 and facing just two rivals, only a banana skin looked likely to stop Altior and, although he jumped markedly left throughout the race, Henderson and jockey Nico De Boinville felt that was simply because he was bored because it was all too easy. 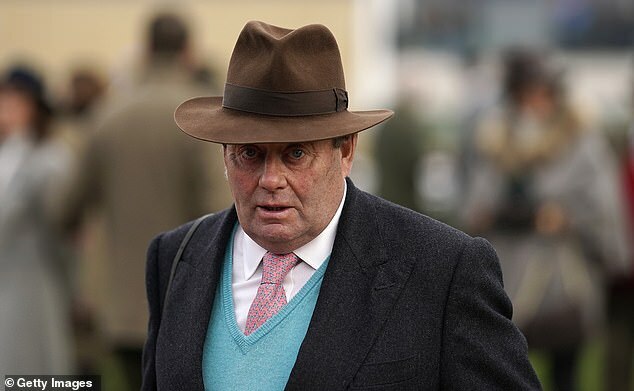 Henderson, who previously trained another brilliant two-mile chaser in Sprinter Sacre, said: ‘Nico said he had to wake him up going to the first fence. ‘He was not particularly competitive because he wasn't keen about going out in the fog on his own, but he had a nice time. He had to go and do his own thing, and we knew he'd have to make the running. If something came to him I think he'd have gone again. Altior's win was one of four on the day for Henderson, who reached 100 for the season when Cheltenham Festival possible Downtown Getaway landed the novice hurdle at Ascot. Henderson had been forced to scratch three of his weekend runners when blood tests had shown signs they were carrying a bug.